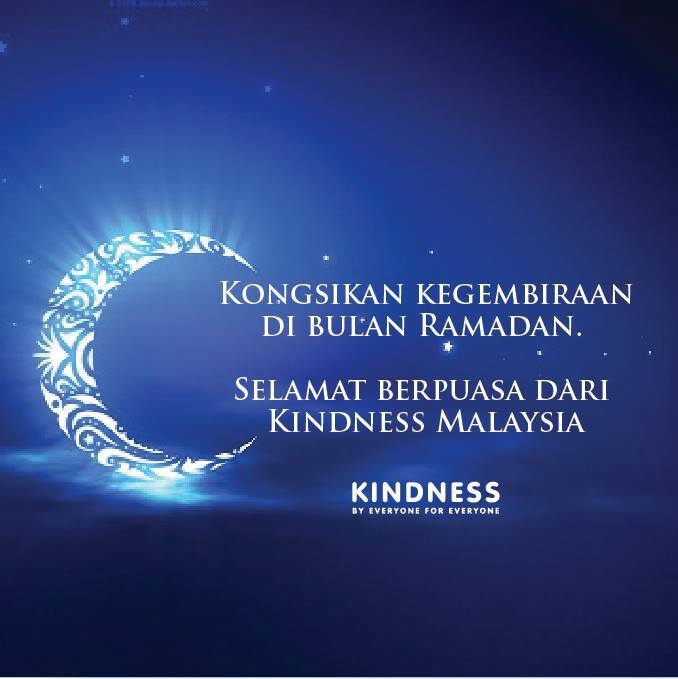 On behalf of Kindness Malaysia, we extend our best wishes to Muslim communities here in Malaysia and around the world on the beginning of the blessed month of Ramadan. Its a time for self-reflection and devotion through prayers, Quran and fasting, Ramadan is also an occasion when Muslims in Malaysia and throughout the world reaffirm their commitment to helping the less fortunate, including those struggling because of economic hardship and inequality. 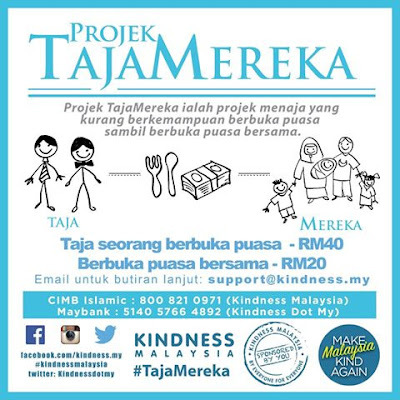 Here in Malaysia, we are grateful to the many organizations, individuals, and businesses that are devoted to creating opportunity for all by working to reduce income inequality and poverty, not only through their charitable efforts, but also through their initiatives to spreading kindness regardless to their religion, background and skin color. Ramadan also reminds us of our shared responsibility to treat others as we wish to be treated ourselves and the basic principles that bind people of different faiths together: a yearning for peace and kindness. At a moment when people in Malaysia continue to suffer from senseless tragedy and situations, this sacred time reminds us of our common obligations to pursue kindness and peace and to uphold the dignity of every human being. It will be another opportunity for me to convey our appreciation for the contributions of our dedicated volunteers in spreading and inspiring kindness and to wish Muslims in Malaysia and around the world a month blessed with the joys of family, community, peace and understanding. May Allah gives us clarity of mind and heart with the guidance from the Quran. May Allah grant us wisdom to always inspire others to spread kindness, and may our life be full of kindness and surrounded by brilliant exemplary people. Ameen.